Getting hurt is part of love. Many people unintentionally hurt the one they love. Getting back after hurting could be a challenge. The first thing to do is to forgive the person who hurt you. Love as you know is a strange thing and we often end up finding ourselves on the receiving end of it. Many a times, you do not receive the same amount of love you give; you tend to get hurt by someone you love, and it can be devastating. It is definitely not a pleasant thing to do, hurting the one you love, but what can you say, there are people who end up doing so. How could you possibly go back to such a person who has hurt you, and try to love him or her back? It can be difficult, but you should give it an honest try. Many people do not like the idea of breaking up instantly, so they give love another chance. Being hurt by someone you love is more than difficult, but at the end of the day you love that person well enough to love him or her dearly once again. 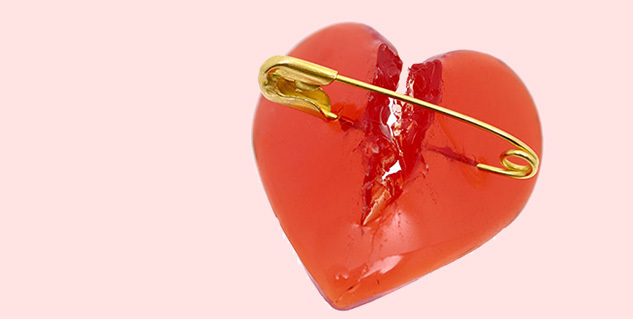 So we bring to you a guide to a broken heart – how to love someone who has hurt you? At first we need to make it clear that hurting someone you love is a really bad thing to do, but as the victim it is your choice to react to it. Would you like to choose suffering and hate, or would you like to forgive and move on? When you decide to forgive, you are automatically allowing yourself to get over the hurt. Then you can contemplate your life without this person, if you think you love him or her dearly, you should take the first step forward. Do not plunge right into it after being hurt by someone you love. This is a process where you are healing, so let yourself heal well. You need to give yourself sometime to get over the entire thing, or to access your challenges ahead. There will be a lot of frustrations in you, there will be many questions, so you should completely recover from this entire traumatic experience to finally get back to the person. Also, you must remember to love that person back only if he or she has fully acknowledged his or her mistake. A rush of emotions will captivate you on the days leading to your recovery, thoughts of the old days, joyful and fun times. Then all of it will come crashing with that one incident that changed everything, after all it is cruel to get hurt by someone you love. But you have to access your situation here and take time to work on your emotions, to let them sway, because it is only human. Only when you have fully accessed your relationship together, will you be able to get back. Hurting someone you love is a colossal mistake, because it jeopardises a lot. But there is a good way to get back, with proper considerations and love. The important thing here is to be able to remain joyful and happy. Many times we have seen couples are unable to get back into their previous state of love and romance. A lot changes after you are hurt by someone you love, or if you are hurting the one you love. But the important thing to know is to go with joy and happiness if you are at all willing to get back together. It will take a lot of dedication this time, so be prepared.